Stages ? ’Stages’ here means the number of divisions or graphic elements in the slide. For example, if you want a 4 piece puzzle slide, you can search for the word ‘puzzles’ and then select 4 ‘Stages’ here. We have categorized all our content according to the number of ‘Stages’ to make it easier for you to refine the results. Presenting this set of slides with name - Evaluation Icon Showing Data Analysis. This is a four stage process. The stages in this process are Feedback Loop Icon, Evaluation Icon, Assessment Icon. Presenting project cycle management monitoring and evaluation ppt icon. 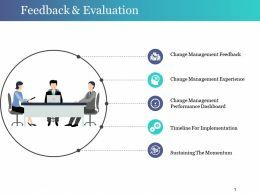 This is a project cycle management monitoring and evaluation ppt icon. This is a seven stage process. The stages in this process are project management cycle, project management, project governance. 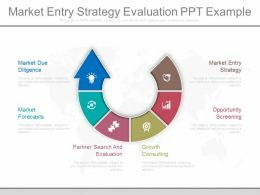 Presenting global market evaluation strategy ppt icon. This is a global market evaluation strategy ppt icon. This is a four stage process. The stages in this process are market entry and partnership evaluations, product, competitive intelligence, price, market evaluations. Presenting swot icons showcasing project evaluation powerpoint slide show. 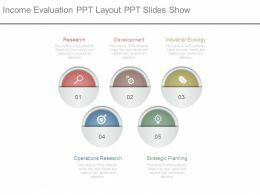 This is a swot icons showcasing project evaluation powerpoint slide show. This is a four stage process. The stages in this process are swot icons, swot analysis icon, swot matrix icon. 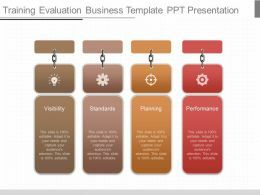 Presenting use training evaluation business template ppt presentation. 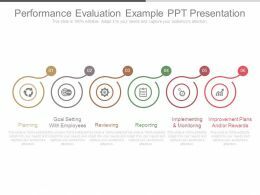 This is a training evaluation business template ppt presentation. This is a four stage process. The stages in this process are standards, visibility, planning, performance. Presenting this set of slides with name - Evaluation Icon Of Financing Process. This is a four stage process. The stages in this process are Feedback Loop Icon, Evaluation Icon, Assessment Icon. Presenting this set of slides with name - Evaluation Icon Of Process Analysis. This is a four stage process. The stages in this process are Feedback Loop Icon, Evaluation Icon, Assessment Icon. Presenting this set of slides with name - Evaluation Icon Of Customer Feedback Or Response. This is a four stage process. The stages in this process are Feedback Loop Icon, Evaluation Icon, Assessment Icon. 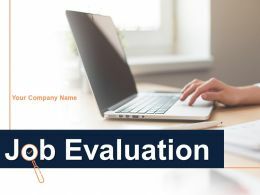 Presenting this set of slides with name - Evaluation Icon For Employee Performance Assessment. This is a four stage process. The stages in this process are Feedback Loop Icon, Evaluation Icon, Assessment Icon. Presenting this set of slides with name - Evaluation Icon For Process Error Code. This is a four stage process. The stages in this process are Feedback Loop Icon, Evaluation Icon, Assessment Icon. Presenting this set of slides with name - Evaluation Icon For Project Time Management. This is a four stage process. The stages in this process are Feedback Loop Icon, Evaluation Icon, Assessment Icon. Presenting this set of slides with name - Evaluation Icon Of Business Analysis Or Planning. This is a four stage process. The stages in this process are Feedback Loop Icon, Evaluation Icon, Assessment Icon. Presenting this set of slides with name - Evaluation Icon Showing Graph And Bar. This is a four stage process. The stages in this process are Feedback Loop Icon, Evaluation Icon, Assessment Icon. 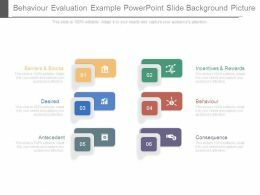 Presenting risk evaluation icon ppt background template. This is a risk evaluation icon ppt background template. This is a three stage process. The stages in this process are hazard symbol, risk icon, risk management icon. 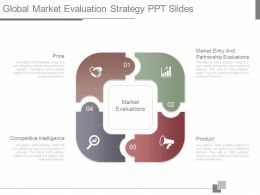 Presenting this set of slides with name - Evaluation Icon Of Market Activity Or Promotion Process. This is a four stage process. The stages in this process are Feedback Loop Icon, Evaluation Icon, Assessment Icon. Presenting communal impression evaluation chart ppt icon. This is a communal impression evaluation chart ppt icon. This is a four stage process. The stages in this process are knowledge, attitudes, behavior, intention. Presenting this set of slides with name - Evaluation Document Icon With Various Options And Checkmark. This is a three stage process. The stages in this process are Evaluation Of Options, Strategy, Business. Presenting this set of slides with name - Quality Circle Brainstorming Action Plan Evaluation With Icons. This is a four stage process. The stages in this process are Quality Circles, Quality Cycles, Quality Circular. Presenting this set of slides with name - Icon Of Evaluation Document With Different Options. This is a three stage process. The stages in this process are Evaluation Of Options, Strategy, Business. 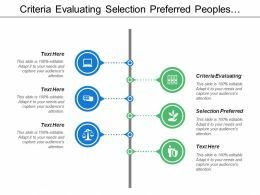 Presenting this set of slides with name - Icon Of Evaluation Of Options With Clipboard. This is a three stage process. The stages in this process are Evaluation Of Options, Strategy, Business. Presenting automation testing evaluation framework with icon ppt sample file. This is a automation testing evaluation framework with icon ppt sample file. This is a five stage process. The stages in this process are automation testing, software testing, continuous testing. 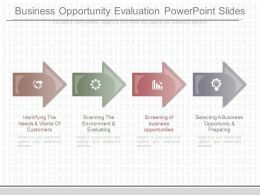 Presenting swot icons for business evaluation powerpoint guide. 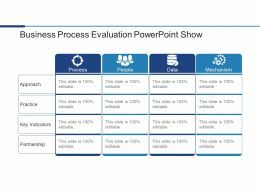 This is a swot icons for business evaluation powerpoint guide. This is a four stage process. The stages in this process are swot icons, swot analysis icon, swot matrix icon. Presenting swot icons showing organization evaluation powerpoint themes. This is a swot icons showing organization evaluation powerpoint themes. This is a four stage process. The stages in this process are swot icons, swot analysis icon, swot matrix icon. 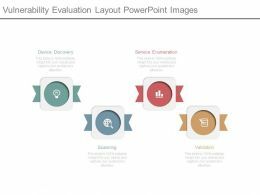 Presenting this set of slides with name - Vendor Quality Evaluation Ppt Powerpoint Presentation Icon Mockup. This is a five stages process. The stages in this process are Quality, Customer Service, Delivery, Pricing, Business. Presenting this set of slides with name - Segmentation Performance Evaluation Performance Ratting Ppt Icon Skills. This is a four stage process. The stages in this process are Sales Target, Current Financial, Marketing, Strategy, Management. Presenting this set of slides with name - Vendor Evaluation Process Ppt Powerpoint Presentation Icon Master Slide. This is a four stages process. The stages in this process are Supply Marketing, Supplier Selection, Supplier Onboarding, Business. 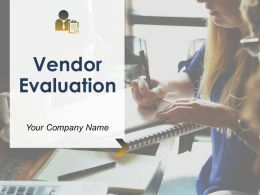 Presenting this set of slides with name - Detailed Vendor Evaluation Comparison Ppt Powerpoint Presentation Icon Design Templates. This is a two stages process. The stages in this process are Business, Management, Planning, Strategy, Marketing. 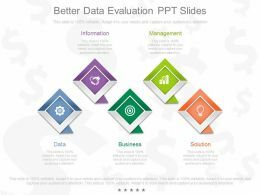 Presenting this set of slides with name - Vendor Evaluation Comparison Ppt Powerpoint Presentation Icon Layout Ideas. This is a five stages process. The stages in this process are Business, Management, Planning, Strategy, Marketing. Presenting swot icons showcasing business evaluation example of ppt. 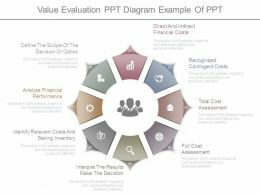 This is a swot icons showcasing business evaluation example of ppt. This is a four stage process. The stages in this process are swot icons, swot analysis icon, swot matrix icon. Presenting swot icons showcasing business evaluation powerpoint slide designs. 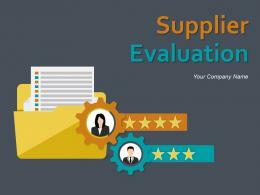 This is a swot icons showcasing business evaluation powerpoint slide designs. This is a four stage process. The stages in this process are swot icons, swot analysis icon, swot matrix icon. 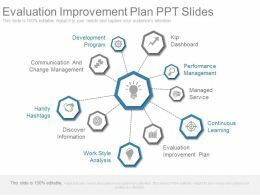 Presenting this set of slides with name - Planning Analysis Control Evaluation Annual Operating Plan With Icons. This is a five stage process. The stages in this process are Annual Operating Plan, Annual Operating Strategies, Annual Operating Approaches. Presenting this set of slides with name - Feedback Self Evaluation Form Ppt Powerpoint Presentation Inspiration Icon. This is a five stages process. The stages in this process are Business, Management, Planning, Strategy, Marketing. Presenting this set of slides with name - Develop Evaluate Program Development With Icon In Center. This is a five stage process. The stages in this process are Program Development, Human Resource Management, Program Management. 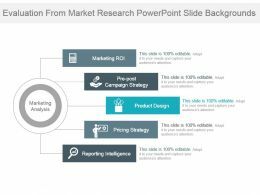 Presenting this set of slides with name - Awareness Evaluation Purchase Content Demand Creation Funnel With Icons. This is a four stage process. The stages in this process are Demand Generation, Demand Creation, Lead Generation. Presenting this set of slides with name - Cost Optimization Strategies Icon Showing Process For Identification And Evaluation. This is a three stage process. The stages in this process are Cost Optimization Strategies, Cost Optimization Planning, Cost Optimization Approach. 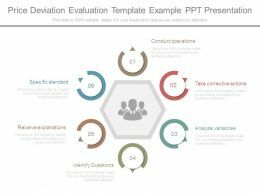 Presenting evaluation techniques diagram ppt files. This is a evaluation techniques diagram ppt files. This is a three stage process. The stages in this process are analysis, develop, planning. 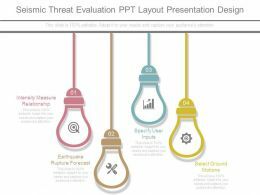 Presenting vulnerability evaluation layout powerpoint images. This is a vulnerability evaluation layout powerpoint images. This is a four stage process. The stages in this process are device discovery, service enumeration, scanning, validation. Presenting feedback and evaluation ppt examples. 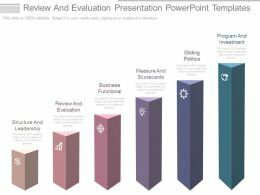 This is a feedback and evaluation ppt examples. This is a five stage process. 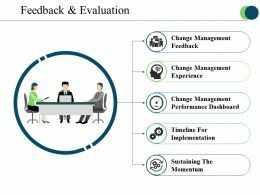 The stages in this process are change management experience, change management feedback, timeline for implementation. 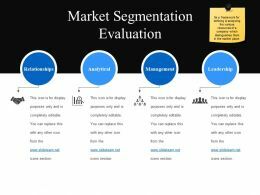 Presenting market segmentation evaluation powerpoint graphics. This is a market segmentation evaluation powerpoint graphics. This is a four stage process. The stages in this process are relationships, analytical, management, leadership. Presenting market segmentation evaluation ppt inspiration. This is a market segmentation evaluation ppt inspiration. This is a four stage process. The stages in this process are analytical, relationships, management, leadership, competency framework. 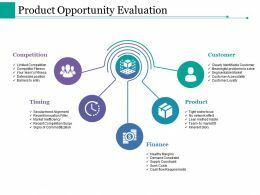 Presenting this set of slides with name - Product Opportunity Evaluation Powerpoint Slides. This is a five stage process. The stages in this process are Customer, Product, Finance, Timing, Competition. Presenting this set of slides with name - Training Evaluation Ppt Styles Slides. This is a four stage process. The stages in this process are Results, Behaviour, Learning, Reaction. Presenting key evaluation metrics powerpoint layout. This is a key evaluation metrics powerpoint layout. This is a five stage process. The stages in this process are icons, business, marketing, presentation, management. Presenting present evaluation strategy in hr ppt infographics. 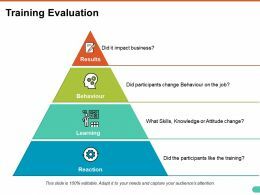 This is a evaluation strategy in hr ppt infographics. This is a four stage process. The stages in this process are resources, purpose, evaluation questions, methods. Presenting app better data evaluation ppt slides. This is a better data evaluation ppt slides. This is a five stage process. The stages in this process are information, management, solution, business, data. Presenting app global market evaluation strategy ppt slides. This is a global market evaluation strategy ppt slides. This is a four stage process. The stages in this process are price, competitive intelligence, market entry and partnership evaluations, product, market evaluations. 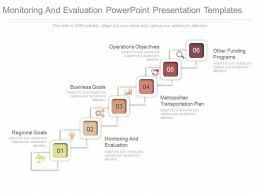 …progress template ppt presentation. Presenting evaluation and measuring progress template ppt presentation. 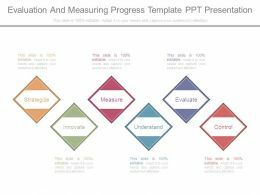 This is a evaluation and measuring progress template ppt presentation. This is a six stage process. The stages in this process are strategize, innovate, measure, understand, evaluate, control. 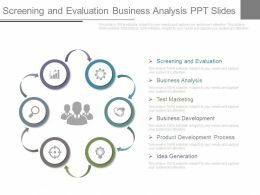 Presenting screening and evaluation business analysis ppt slides. 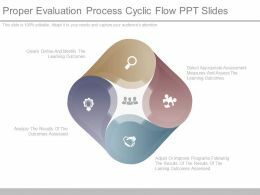 This is a screening and evaluation business analysis ppt slides. This is a four stage process. The stages in this process are process, business, icons, management. Presenting online evaluation template ppt examples slides. 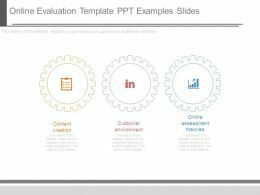 This is a online evaluation template ppt examples slides. This is three stage process. The stages in this process are content creation, customer environment, online assessment theories. 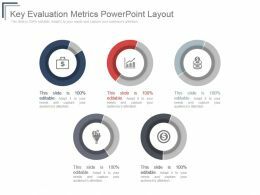 Presenting custom evaluation of business powerpoint layout. 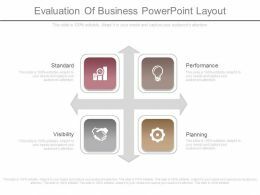 This is a evaluation of business powerpoint layout. This is a four stage process. The stages in this process are standard, performance, planning, visibility. 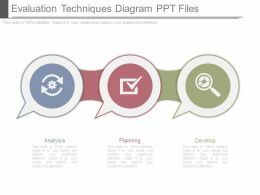 Presenting evaluation strategic planning diagram sample presentation ppt. 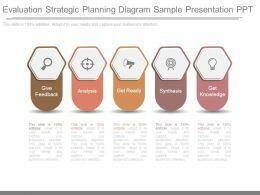 This is a evaluation strategic planning diagram sample presentation ppt. This is a five stage process. The stages in this process are give feedback, analysis, get ready, synthesis, get knowledge. 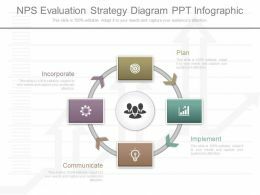 Presenting ppt nps evaluation strategy diagram ppt infographic. 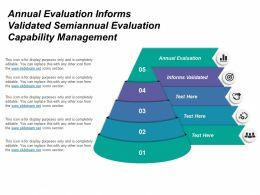 This is a nps evaluation strategy diagram ppt infographic. This is a four stage process. The stages in this process are plan, implement, communicate, incorporate. 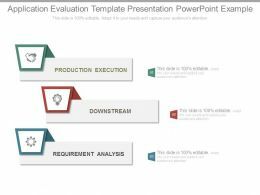 Presenting user acceptance evaluation procedure example powerpoint ideas. 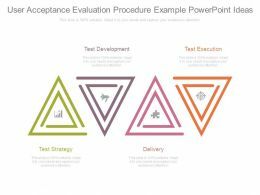 This is a ser acceptance evaluation procedure example powerpoint ideas. This is a four stage process. The stages in this process are test development, test execution, test strategy, delivery. 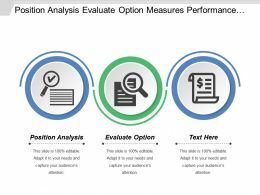 Presenting application evaluation template presentation powerpoint example. 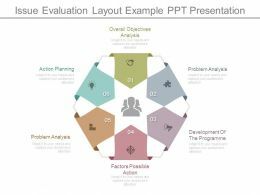 This is a application evaluation template presentation powerpoint example. This is a three stage process. The stages in this process are production execution, downstream, requirement analysis. Presenting business idea evaluation diagram ppt example. 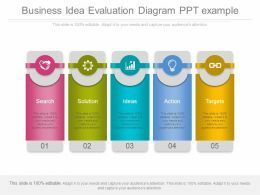 This is a business idea evaluation diagram ppt example. This is a five stage process. The stages in this process are search, solution, ideas, action, targets. Presenting consent evaluation diagram example ppt presentation. 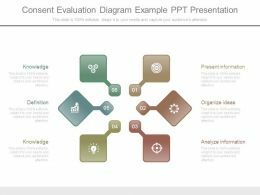 This is a consent evaluation diagram example ppt presentation. This is a six stage process. The stages in this process are knowledge, definition, knowledge, organize ideas, present information, analyze information. Presenting secondary data evaluation template ppt images gallery. 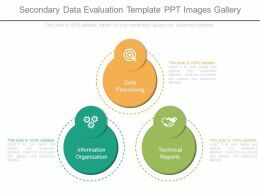 This is a secondary data evaluation template ppt images gallery. This is a three stage process. The stages in this process are data processing, information organization, technical reports. Presenting training programmed evaluation diagram presentation examples. This is a training programmed evaluation diagram presentation examples. This is a four stage process. The stages in this process are implement, analysis, development, design. Presenting income evaluation ppt layout ppt slides show. This is a income evaluation ppt layout ppt slides show. This is a five stage process. The stages in this process are research, development, industrial ecology, operations research, strategic planning. 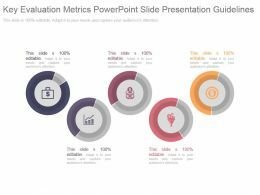 Presenting key evaluation metrics powerpoint slide presentation guidelines. 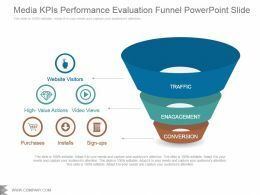 This is a key evaluation metrics powerpoint slide presentation guidelines. This is a five stage process. The stages in this process are business, marketing, strategy, process, success. Presenting network evaluation template example of ppt. Presenting network evaluation template example of ppt. 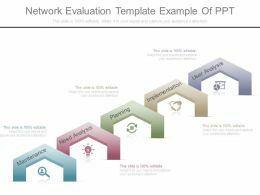 This is a network evaluation template example of ppt. This is five stage process. The stages in this process are maintenance, need analysis, planning, implementation, user analysis. 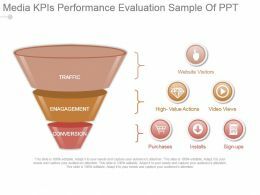 Presenting media kpis performance evaluation sample of ppt. 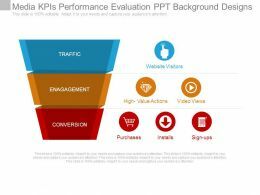 This is a media kpis performance evaluation sample of ppt. This is a three stage process. 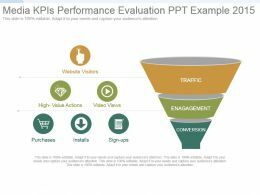 The stages in this process are traffic, engagement, conversion, high value actions, video views, website visitors, purchases, installs, sign ups. Presenting post introduction evaluation ppt example 2015. This is a post introduction evaluation ppt example 2015. This is a six stage process. The stages in this process are work team, business, roadmap, planning, communication. Presenting evaluation of results powerpoint slides design. Presenting evaluation of results powerpoint slides design. 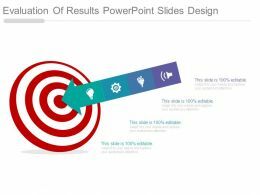 This is a evaluation of results powerpoint slides design. This is one stage process. The stages in this process are our goals, arrow, strategy, business, marketing, success. 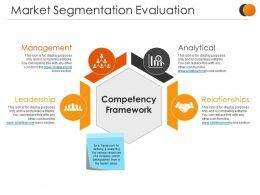 Presenting market segmentation evaluation sample ppt files. 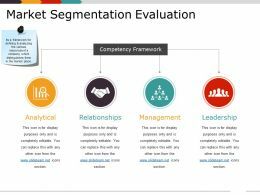 This is a market segmentation evaluation sample ppt files. This is a four stage process. The stages in this process are leadership, management, analytical, relationships, competency framework. 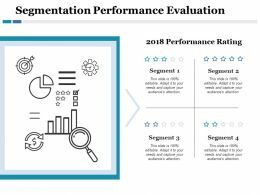 Presenting this set of slides with name - Segmentation Performance Evaluation Performance Rating Segment. This is a four stage process. 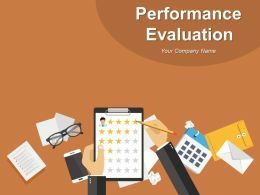 The stages in this process are Performance Rating, Segment, Icons. 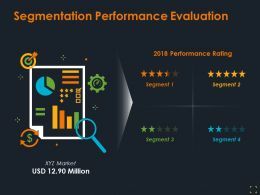 Presenting this set of slides with name - Segmentation Performance Evaluation Ppt Summary Information. This is a four stage process. The stages in this process are Business, Marketing, Icons, Strategy, Analysis. 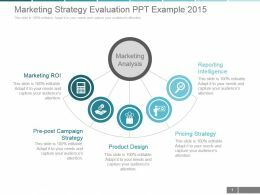 Presenting marketing strategy evaluation ppt example 2015. This is a marketing strategy evaluation ppt example 2015. This is a five stage process. The stages in this process are marketing analysis, marketing roi, pre post campaign strategy, product design, pricing strategy, reporting intelligence. 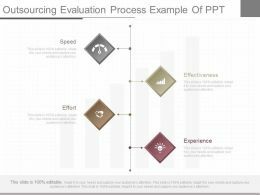 Presenting ppts outsourcing evaluation process example of ppt. 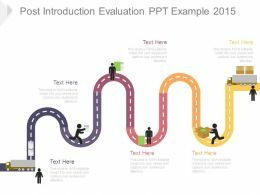 This is a outsourcing evaluation process example of ppt. This is a four stage process. The stages in this process are speed, effectiveness, effort, experience. 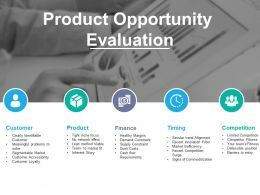 Presenting this set of slides with name - Product Opportunity Evaluation Ppt Styles Background Designs. This is a five stage process. The stages in this process are Competition, Timing, Finance, Product, Customer. Copyright © 2019 SlideTeam. All Rights Reserved.